If you're looking for the last word in gasoline-free travel you've found it. The Model S is Tesla's second crack at a fully electric production car after the success of the Tesla Roadster. 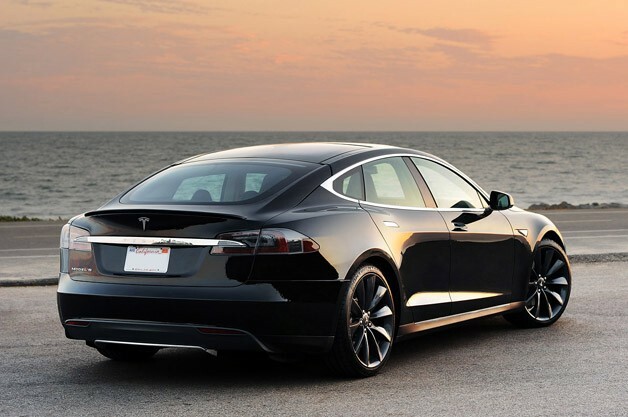 With this car it seems as though perfection comes with experience because the Model S pleases on all fronts. With 3 different models to choose from there is a Tesla for everyone. The different models and price points are dependent on which battery pack you choose; 60kWh, or 85kWh with 380km, and 480kms of range (respectively). 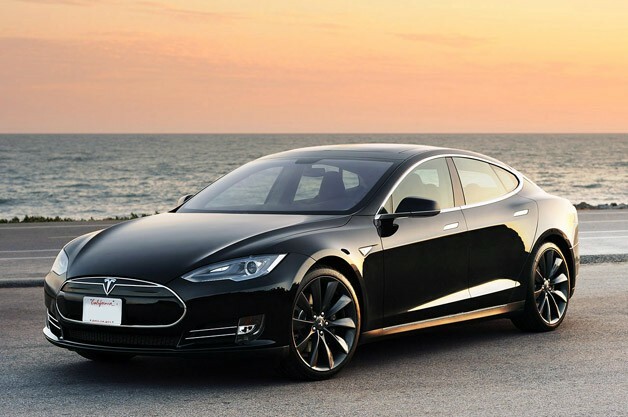 However, the crème of the crop is the Model S Performance colloquially known as the P85. This model features the same 85kWh battery pack as the 85kWh non-Performance model but with the addition of a power inverter bestowing the Model S with an extra 54HP and 118 ft/lbs of torque totalling 416HP and 443ft/lbs. That's more horsepower than a new Porsche 911 4S and more torque than a Mercedes-Benz C63 AMG! The beauty of the torque is that all 443ft/lbs are available from 0 to 5,100 RPM unlike gas motors that peak at a single point much later in the rev range. The Model S Performance can sprint to 60MPH in around 4 seconds; as fast as a Lamborghini Gallardo, on to a top speed of 209km/h. The Model S has a good level of performance already and the designated Performance model has it in spades. Other features distinctive to the P85 are Alcantara accented seats with red piping, carbon fibre interior trim and rear spoiler as well as 21" Turbine wheels with a Grey finish. Recently Tesla has introduced a Performance Plus Package that features many chassis upgrades and staggered wheels. 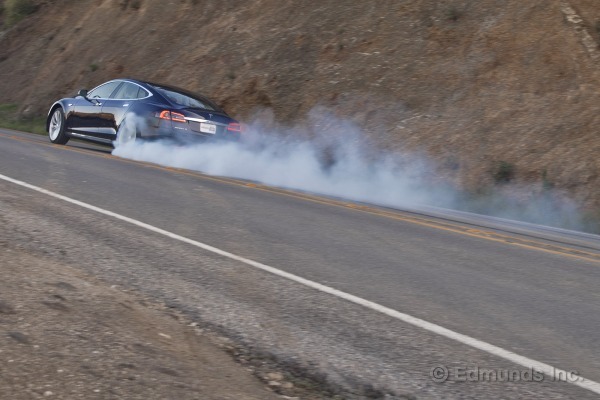 The Model S can be charged in many ways. The standard way is through the cars standard charger which can plug into a 110V outlet. However, due to low voltage this method takes the longest to charge the vehicle; about 5-6kms per hour of charge. Another method is utilizing a 240V power source like the ones your typical stove or dryer are hooked up to. This method charges the car at a rate of 30kms per hour of charge. One option I must suggest to prospective Tesla owners is the optional High Power Wall Charger. For $1,300 (less a government rebate) you can opt for this unit which must be installed in your home or garage by an electrician. This is the most efficient way of charging your Model S and it does so at a rate of around 50-60kms per hour of charge. The last method of charging is through patented Tesla Supercharger Stations found along major routes. This method requires an adapter that comes with the vehicle that provides rapid charging at a rate of up to 240kms in just half an hour! There are 10 active Tesla Supercharger Stations right now with a goal of over 100 stations by 2015. Local businesses are also joining this green movement by installing charging stations in dedicated parking spaces. When it comes to maintenance you are going to love this car. No oil. No pistons. No exhaust. No transmission. The only things on this vehicle that will require maintenance like any other motor-vehicle is brakes and tires. But don't expect to change your brakes any time soon. The Model S features an electric motor that decelerates when not accelerating all while providing regenerative braking. With proper electric driving habits you can make the brakes last a lifetime. The batteries are warrantied up to 8 years with an option to purchase a new one. The car itself comes with a 4 year/80,000kms warranty. The 85kWh battery is covered for 8 years with no mileage restriction. As fabulous as this car is there is no leasing program available until late 2012 when we approached Tesla Canada and discussed putting together a dedicated leasing program for the Model S. It didn't take long for our relationship to blossom in the pursuit of getting more and more of these vehicles on the road. Currently MVL Leasing is still the only leasing company with a dedicated and flexible leasing program for the Model S. As the vehicle evolves so will our leasing program offering more flexibility and covering more vehicles like the upcoming Tesla Model X. Full L.E.D. lighting throughout the entire vehicle. 4 different ways to charge. MyTesla App allows one to locate, lock, unlock, set climate from anywhere in the world. Floor comprised of battery providing significant low centre of gravity. 4 level air suspension (optional, equipped on our P85). Free travel in HOV lanes. We have ordered and received a 2013 Tesla Model S Performance. 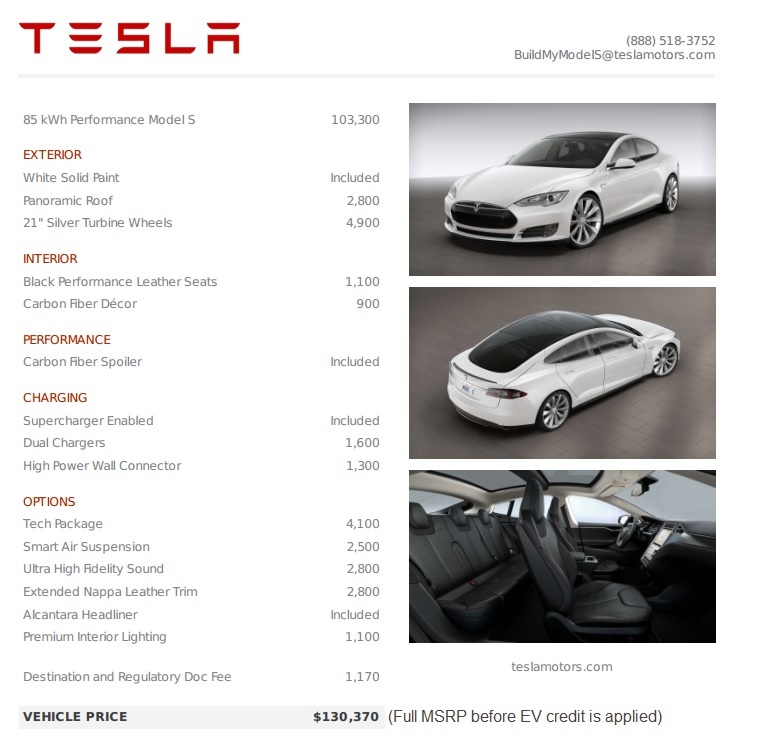 The Tesla configuration is listed below. Call today for more information and to obtain a lease quote.